Buying a home is a very exciting time, but it is also widely regarded as one of the most stressful times of your life. It doesn’t always have to be that way. There are a number of questions you might ask yourself when buying a house – what is conveyancing? Can I do it myself? What are searches? Why do I need a survey? How long will it take? How much does it cost? What if the searches find something wrong? Will I lose my dream home? There is a lot involved with buying a house, and it can be all too easy to get overwhelmed, and let all these worries get on top of you. It’s inevitable that you will have some concerns and questions when buying a house. Seeking professional, legal advice will go a long way to putting your mind at ease. 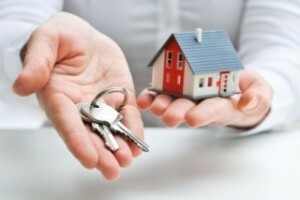 When it comes to buying a house, your property lawyer should take care of everything for you. The searches, conveyancing, the contracts, and anything else that might give you a headache. The most important thing you need to do is to find the right property lawyer. At Sam Hawking Property Lawyers, our expertise lies within property law. Since 2006, we have been Property Lawyers in Port Talbot, and more recently opened up offices in Cross Hands and Neath, we treat each client on a case by case basis to ensure they receive the quality service they are looking for. We have experience in dealing with a varied range of home buying situations, and will be able to guide you all the way through your transaction, from start to finish, and even over any bumps that might occur along the way. It can be frustrating when buying a house. There can be almost endless toing and froing between you, your Property Lawyer, the seller’s legal representative, the agents, and the seller. This is why it is so important to take the time to seek out a property lawyer whom you know delivers on their promises and on schedule. At Sam Hawking Property Lawyers we invest time and effort in making sure you are 100% happy, 100% of the time. We will take you through every process at every stage of buying, and make sure that your experience of buying a house is one that you will remember – for all the right reasons.